MARK BRIGGS ATTORNEY DISCUSSES BLOGGING AND SOCIAL MEDIA FOR LAWYERS, INCLUDING WHAT TOPICS AND CONTENT YOU SHOULD AVOID. I love social media. I am an avid Tweeter (follow me on Twitter) and regularly find myself absorbed in articles I discover through LinkedIn (connect with me here.) And, of course, I love to blog. But one of the things I still have to remind myself is that, as a lawyer, there are some profession-specific “dos” and “don’ts” to live by when it comes to social media. I recently read a fascinating article in the American Bar Association Journal called “Legal ethicists are playing catch-up to create social media guidelines for lawyers, judges.” In it, ABA Journal editor James Podgers reviewed some of the main pointers from a presentation at the ABA’s annual meeting called “Things My Ethics Professor Didn’t Tell Me: Top Ethical Pitfalls for the Social Media Age,” and it has made me think a lot about just how tricky social media platforms can be when it comes to following ethical guidelines. Because even if the ABA updated its Model Rules every singe year, it would still be unable to keep up with the rapidly changing world of social media. – Do not “Friend” local judges on Facebook, LinkedIn, or any other social media site if there is any chance you might have to appear before them in court. – Be careful with hashtags on Twitter and Facebook such as “#legaladvice,” or anything else that be an ethical grey area. – Social media can be a great way to grow your practice or reach out to the public, but always make sure you are clear with your clients (or potential clients) when chatting over those channels. Remember: modern consumers are now used to receiving free customer service over Facebook and Twitter, so if you’re dispensing legal advice online, your clients will likely be expecting the same sort of arrangement. Are you an attorney? What is your social media usage like? 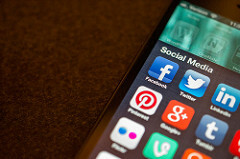 What do you think the future of social media ethics might be? Feel free to share your thoughts in the comment section.